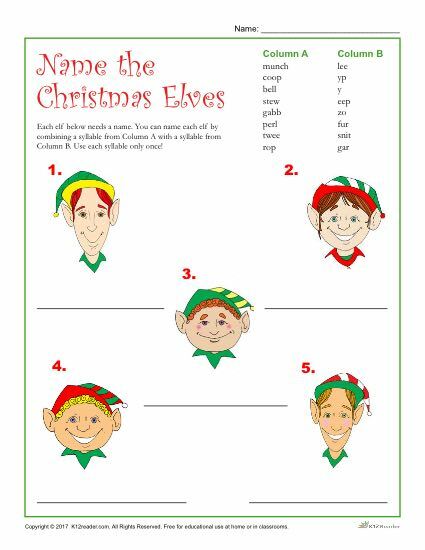 Printable Christmas Activity | Name the Christmas Elves! Spark some creativity in the classroom with this printable Christmas activity! Each of the elves in this worksheet needs a name. Students will be asked to name each elf by combining a syllable from Column A with a syllable from Column B. For example, combine the syllable “twee” with the syllable “zo” to get the name “Tweezo”. Our Name the Elves activity is made easy to print, making it great for use both at home and in the classroom. Happy Holidays!